Former karting ace Bryce Fullwood heads back to familiar territory as he rejoins MW Motorsport for the 2019 Dunlop Super2 Series. Fullwood returns to the very same Nissan Altima he campaigned in his career-best 2017 season. 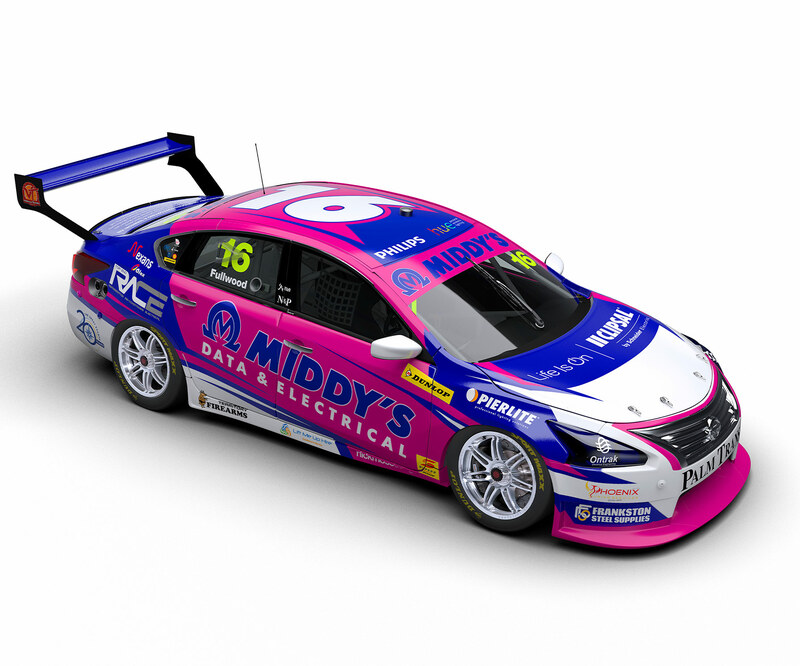 It follows a difficult 2018 with Matt Stone Racing that included a mid-season switch from Ford to Holden as the team made a change across its Supercars and Super2 programs. He did, though, contest the PIRTEK Enduro Cup with MSR alongside Todd Hazelwood, becoming the first Northern Territorian to race a Supercar since Layton Crambrook at Bathurst in 2001. A Junior National Light Australian Karting Champion, Fullwood amassed eight state and territory titles in Junior National Light and Junior Rotax and represented Australia at the Rotax Worlds in Spain in 2014, qualifying third. Fullwood made his Super2 debut in Adelaide in 2015, driving an ex-Russell Ingall Commodore for Paul Morris Motorsports before swapping to an MW Motorsport-run Falcon FG for the final round. He stayed with MW Motorsport for 2016, finishing 14th in the points, then switched to the Altima midway through the following year. Once it arrived Fullwood posted his best results, recording top-three race finishes in Townsville, Sandown and Newcastle, where he took his maiden round podium finish.